ALAMEDA, Calif. -- A third victim in a rollover collision in Alameda 10 days ago has died, the Alameda County coroner's bureau said today. Sergio Garcia, 22, of Hayward, who had been in critical condition at a local hospital since the collision on May 29, was pronounced dead last Saturday, a coroner spokeswoman said. 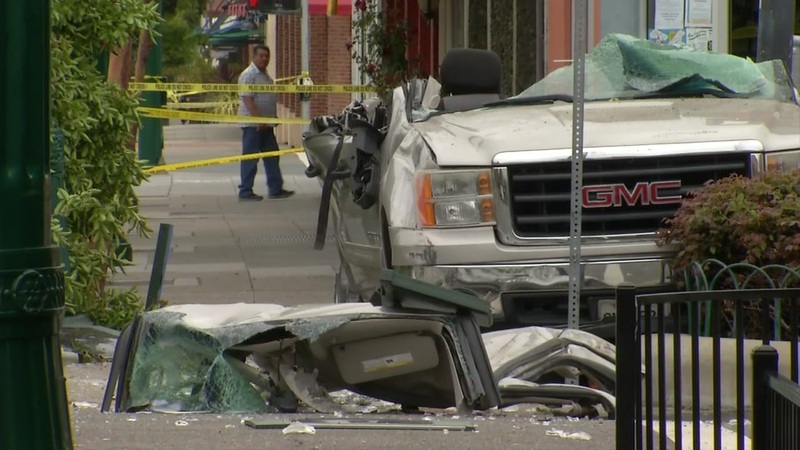 Alameda police said the collision was reported at Park Street and Lincoln Avenue at 8:01 a.m. on May 29 and involved a minivan with a single occupant and a truck carrying seven people. The woman who was driving the minivan survived her injuries but police said Briana Ortega, 17, of Hayward, died at the scene and Simon Sotelo of Union City, also 17, was pronounced dead at Highland Hospital in Oakland a short time after the collision. Garcia and four other occupants of the truck were transported to a hospital with critical injuries. Police said speed appeared to be a factor in the collision. The New Haven Unified School District in Union City said Ortega was a senior at the Decoto School for Independent Study and Sotelo was a sophomore at James Logan High School. A horrific rollover crash that killed two people in Alameda was caught on surveillance video.